By a happy coincidence we have had a rare opportunity within the space of a few months to hear both Poliuto and Les Martyrs. Last autumn Opera Rara and The Orchestra of The Age of Enlightenment put on a concert performance of Donizetti’s French grand opéra Les Martyrs (recently released on CD). 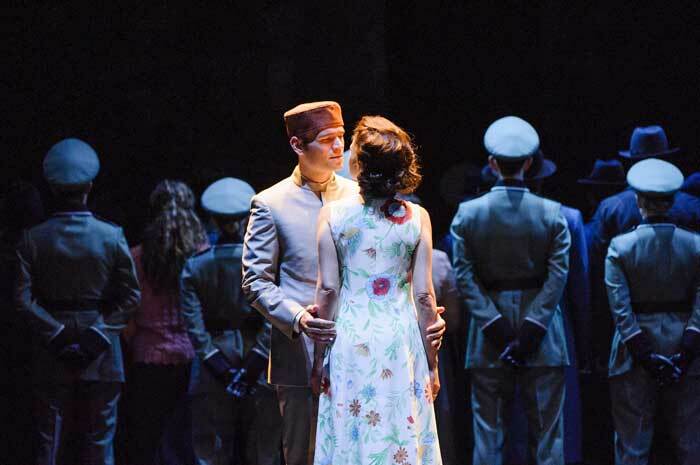 Now the Glyndebourne Festival has opened with a new production of Poliuto. Poliuto was written for Naples in 1838, but was never performed as the censors objected to the subject matter – Christian martyrdom was too strong to be portrayed on stage. Donizetti then left Naples, paying a hefty fine to release himself from his contract there, went to Paris and transformed his three-act Italian opera into a four-act French grand opera, rewriting the recitatives, enlarging the orchestration, composing new pieces including a new overture and a ballet, etc. Subsequent productions often used a mixture of the original score and the revised one (translated into Italian) usually with extra cuts. The 1960 La Scala production mounted for Franco Corelli and the return of Maria Callas was no exception. Glyndebourne, however, has returned to the original 1838 score. The opera is set in 3rd century Armenia under Roman occupation. 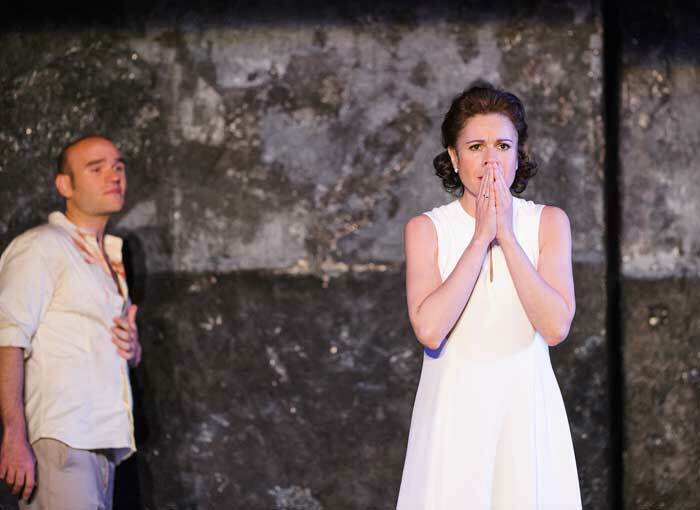 Poliuto has converted to Christianity from the pagan Roman religion and is baptised at the start of the opera while his wife Paulina has remained true to the Roman gods. Their lives are further complicated by the arrival of the Roman Proconsul Severo who was Paulina’s first love. She has married Poliuto believing Severo to have been killed in battle, and though her feelings for Severo are still alive she remains faithful to her husband. When he reveals himself as a newly-baptised convert (thus breaking a new Roman law) and destroys the Roman altar to Jupiter, he is condemned to death. Paulina is so moved by his faith and courage that she too converts and together they go to meet their fate at the hands, or rather jaws, of the Roman lions. Musically Glyndebourne has done it proud. As a production I fear it misses the mark. 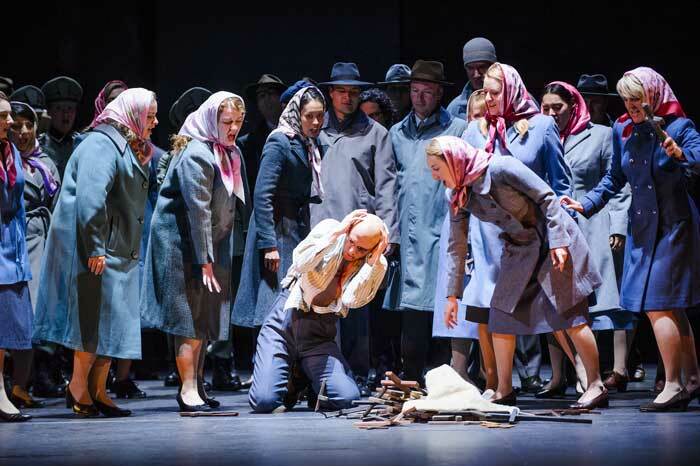 A strong cast is admirably conducted by Enrique Mazzola who paces the opera expertly and obtains beautiful and precise playing from the London Philharmonic Orchestra and exciting yet disciplined singing from The Glyndebourne Chorus. 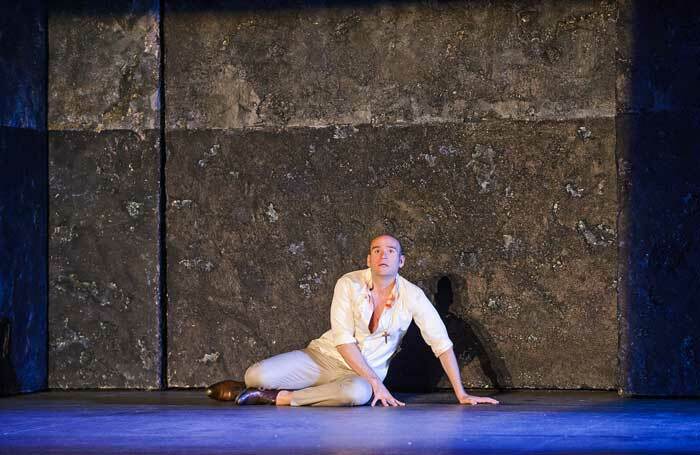 The title role is taken by the young American tenor Michael Fabiano. I last heard him as Gennaro in English National Opera’s 2011 production of Lucrezia Borgia. Even allowing for the very different sizes and acoustics of the two theatres it is clear that his voice has grown, and is fully equal to the dramatic declamatory passages in the role. Indeed, at the performance on May 24th (though less so on June 26th) some parts struck me as rather too loud, though his singing is never tasteless. My memory is that the voice in 2011 possessed a beautiful lyric quality now not in evidence. But it is an exciting performance and his high C at the end of his aria in Act II scene 1 had an effect on the Glyndebourne audience similar to Corelli’s on La Scala’s. Paulina is sung by Ana Maria Martínez who commands the coloratura with her dark-toned, slightly acerbic tone quality – not conventionally beautiful, but effective and affective. 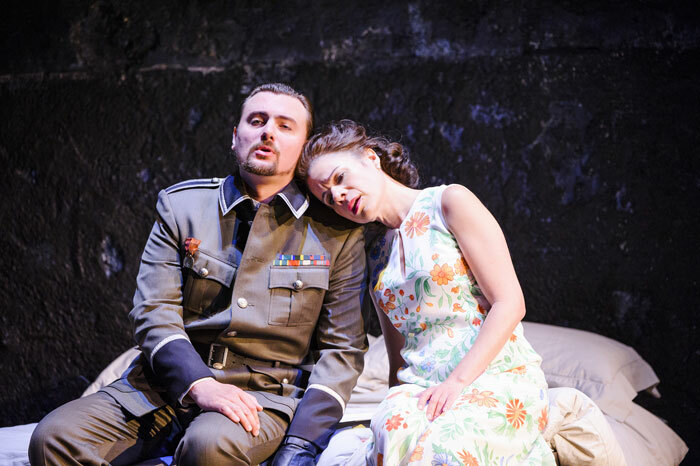 The baritone Igor Golovatenko sings beautifully in Severo’s lyrical moments and forthrightly in the dramatic ones. Overall you would be lucky to find these three leading roles better sung. The smaller parts were strongly cast: Matthew Rose as Callistene the High Priest; Timothy Robinson as Felice, Pauline’s father and Governor of Armenia; Emanuele D’Aguanno as the Christian Nearco. Visually we are not in 3rd century Armenia, rather the 20th century, possibly somewhere in the Balkans under a military regime. The set consists almost entirely of a number of huge grey concrete blocks that slide to create varying spaces, not just to distinguish public and private, but also in the middle of musical numbers to differentiate private thoughts from public conversations – as though director Mariame Clément doesn’t trust a basic operatic convention that audiences have no difficulty with. But for me, the main defect is that, though there is a High Priest, clothed in purple (and one who smokes), there is no sense that this is a conflict of faiths, just a minority oppressed by the inhabitants and soldiers of a military society. So there are no other priests, just more soldiers, despite what the words tell us. 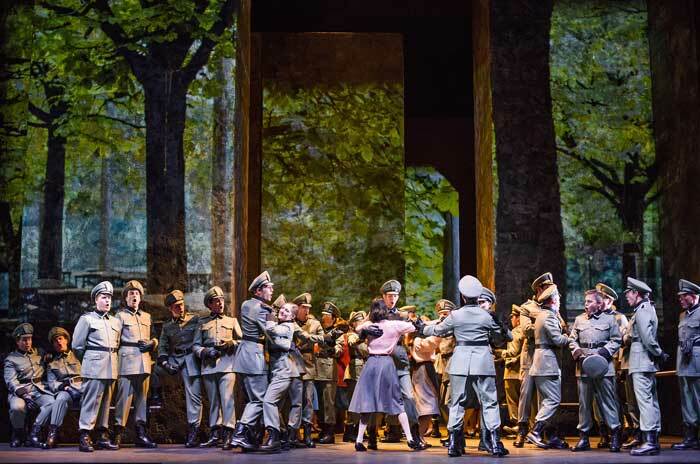 Donizetti’s opera is about religious conversion as well as religious persecution, and surely needs to be set in a religious society, not just a military one. At the climax of Act II when Poliuto overturns the altar to the Roman gods absolutely nothing happens as there is no altar. (Actually this proved to be less risible than the 2012 Poliuto in Zürich when he upturned a speaker’s lectern.) Other individual touches fall flat. Bags of confiscated crosses are emptied and petrol poured over them, yet they are not ignited, just put back in their bags. Shaving heads as a symbol of baptism hardly seems a good idea for a group trying to remain inconspicuous. 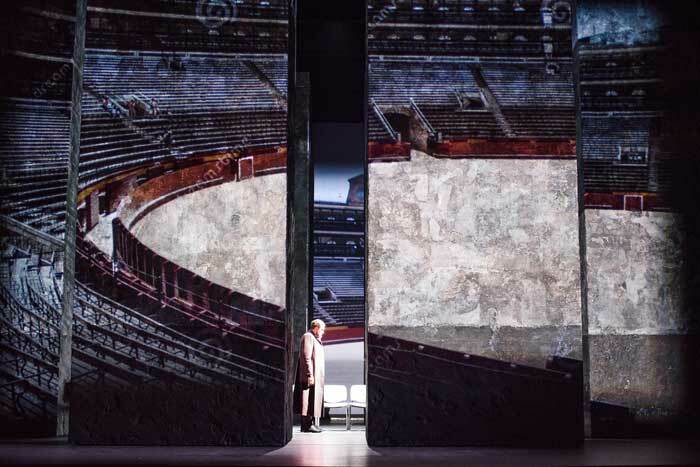 And why do Poliuto and Paulina sing part of their Act III duet from behind separate pillars where we can see them but they can’t see each other? Between such "ideas" the staging struck me as simply dull. 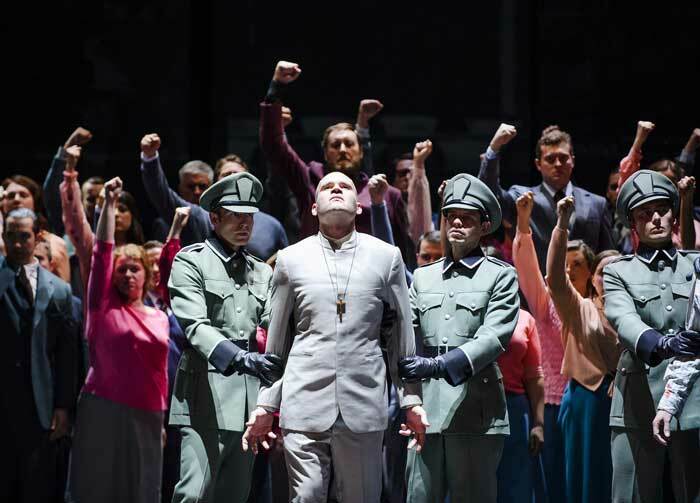 Luckily the musical side is strong enough to make the case for Poliuto and on both days I saw it the audience reaction was enthusiastic.